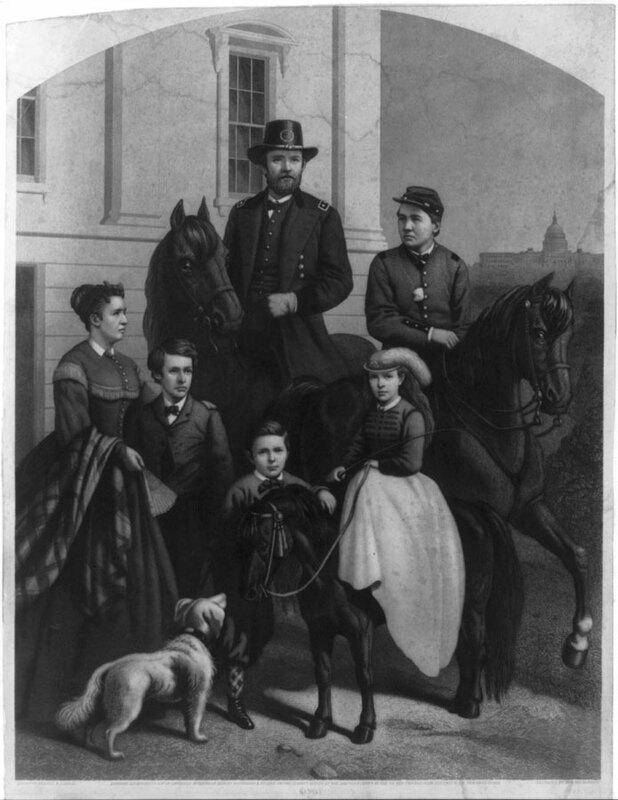 Ulysses Grant, his wife, Julia, and their four children (from l to r), Ulysses Jr. (Buck), Ellen (Nellie), Jesse and Frederick. In May of 1863, the Union General bought “the smallest horse I ever saw,” a black Shetland pony, which he named “the little Rebel,” so that eight year-old Nellie and five year-old Jesse could take turns riding alongside him. Copyright © 2019 First Dads.